Looking for a way to replace the old hunk of a computer in favor of something minimalistic and probably faster? Here’s our guide on how you can turn your Android smartphone or tablet into a capable Android PC in no time. From making phone calls and sending text messages to playing high-definition games and streaming gigabytes of data – our mobile phones have come a long way. Even the average Android smartphone or tablet today packs more hardware capacity than the high-end desktop computers from a decade ago. While Android has already succeeded in filling up the Google Play Store with hundreds and thousands of PC-worthy apps for work and play, there is a way to go one step further. With the right hardware, compatible accessories, and some software tweaks, you can easily turn your Android phone or tablet into an Android PC that is capable in more ways than one. While most of the modern Android phone and tablets support the features required to work as a standalone Android PC, there are a few aspects you should consider. In most cases, even an Android device that has a few years under the belt should be fine, like the legendary LG Nexus 5 with the Snapdragon 800 processor and 2GB of RAM. Moreover, you need to make sure that your Android device comes with OTG compatibility, which is crucial for adding storage and transferring data to and from the Android PC. 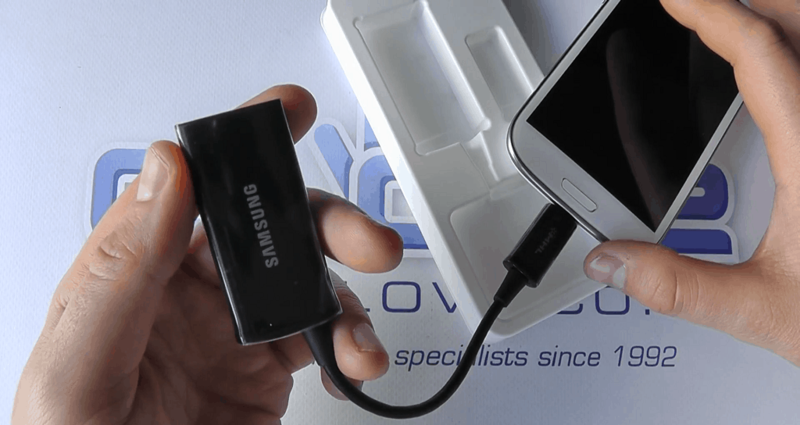 Most Samsung Galaxy devices also come with wired video output compatibility (MHL), which enables these devices to be connected to a monitor through the HDMI port. Depending on your Android device’s compatibility and features, there are multiple ways of connecting it to a monitor, hook up USB ports, and connect accessories such as keyboard and mouse to the system. You can choose to get yourself a docking system to connect a wired keyboard and mouse to the device or go completely wireless. 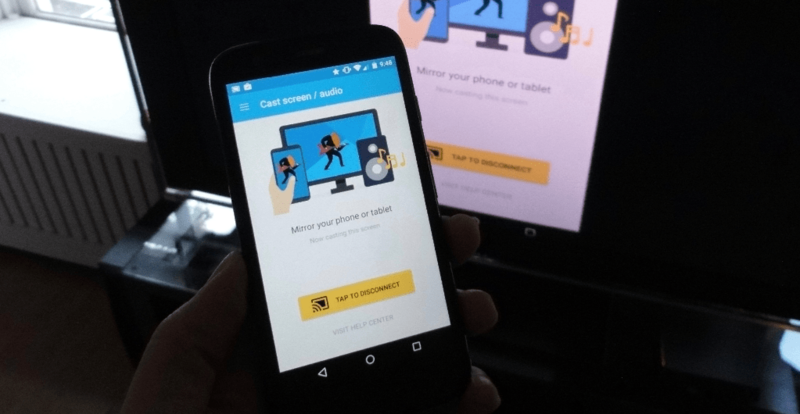 The first and the most efficient way to connect your Android device to a monitor is using Google Chromecast. With the Chromecast connected to your monitor and the Google Home app installed on your Android device, you can mirror your device display onto the monitor wirelessly. Note: There are plenty of cheaper alternatives to Chromecast (Miracast adapters) that can also do the job. 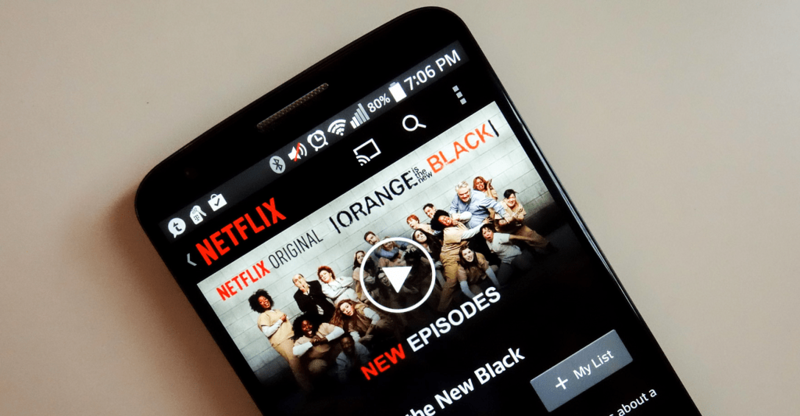 However, we recommend that you get Google Chromecast since it is officially supported by the Google Home app, which makes the entire process much simpler. There is yet another way of connecting an Android device to a monitor using the proprietary MHL adapter. However, the number of Android devices compatible with the MHL adapter is limited to Samsung Galaxy devices and a handful of others. You can check out the official list of Android devices compatible with MHL adapters using the link given below. While most of the mainstream Android devices do not come with MHL support, they are packed with OTG support to help you connect USB devices such as pen drives, USB mouse, and keyboard. 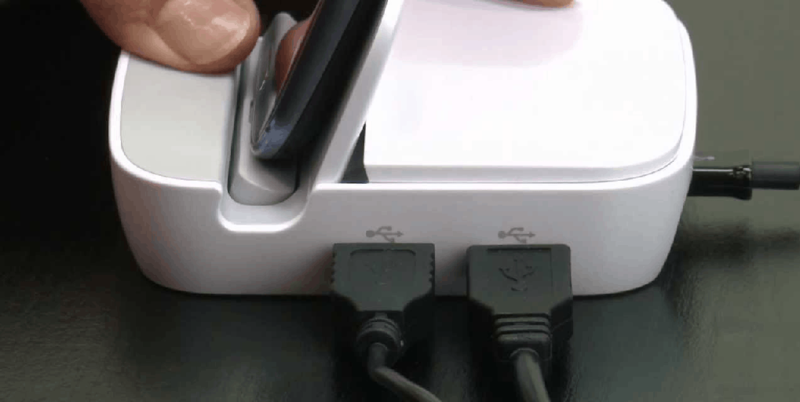 However, you can also get yourself a dock in order connect with multiple USB ports at once. You can find multi-USB OTG cables by dozens online, along with a bunch of docks that have the multi-USB ports built into them. The UNITEK docking station for Android devices is a great choice as it comes with 4 USB ports and a built-in power receiver, which enables you to charge your device and connect multiple USB peripherals at once. Note: While USB OTG gives you the ability to connect a number of compatible accessories, it works unilaterally. This means that you can either charge your device, or connect a peripheral to it using USB OTG, but you cannot do both of these actions at once. Devices that are compatible with MHL technology have the ability to work with MHL-compatible docks, which enable you to charge the device, while simultaneously use the USB ports and connect it to a monitor using the HDMI cable. One example is the Galaxy Smart Dock for older devices like the Galaxy S4, Galaxy Note 2 and others. 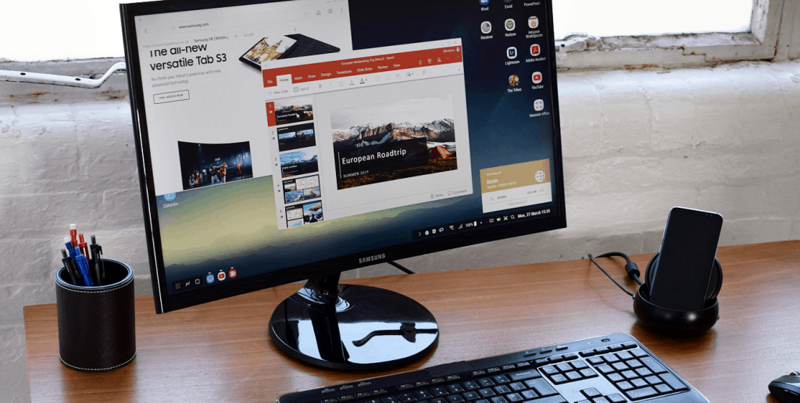 However, Samsung has moved past the old tricks and turned their latest flagship, the Galaxy S8 into an Android PC with the Samsung DeX Station. Built with its own user interface, this docking station for the Galaxy S8 and S8 Plus comes with a built-in cooling fan, Ethernet connectivity, an HDMI port, USB Type-C port, and multiple USB 2.0 ports as well. 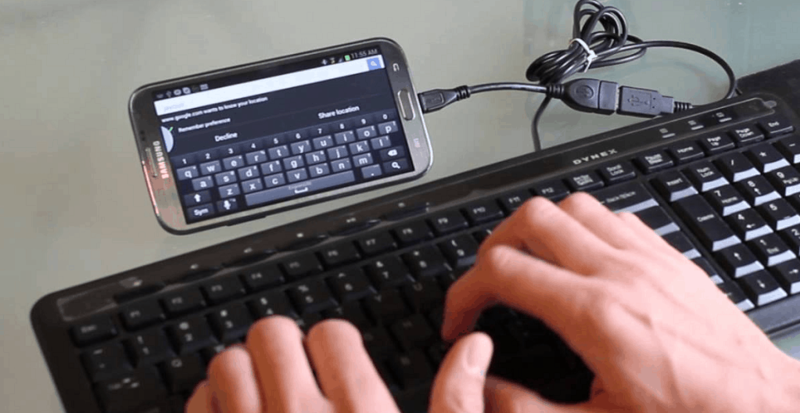 One subtle yet awesome feature of the USB OTG technology is that it allows you to connect computer accessories like keyboard and mouse to your Android device. 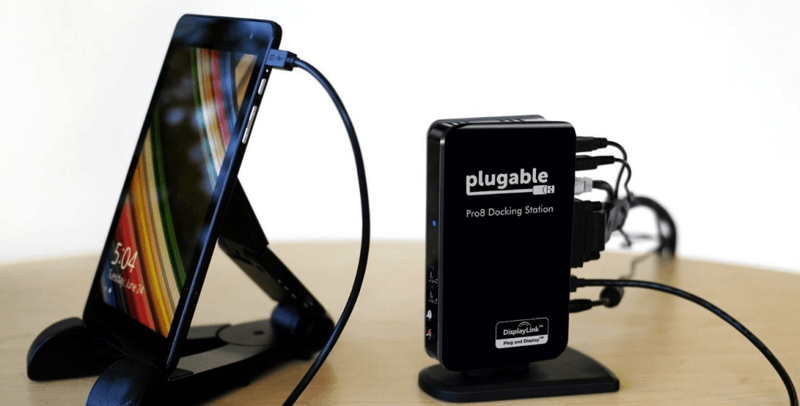 With a multi-USB docking station, you can choose to connect two separate wired peripherals to your Android device or plug in a receiver to enjoy a wireless experience on your Android PC. 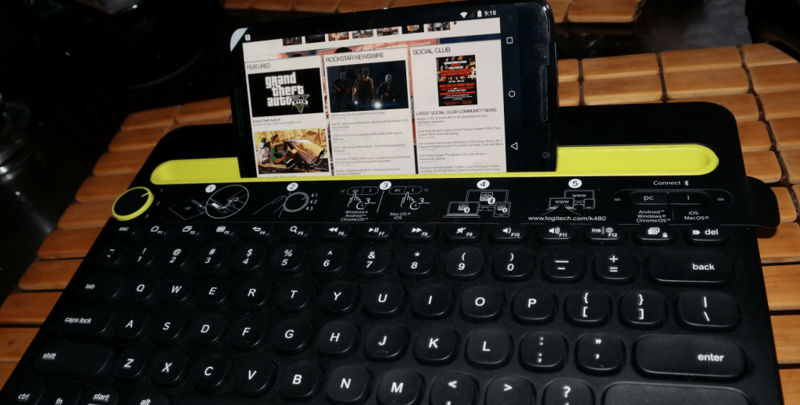 However, since you will have to juggle between charging your Android device and connecting peripherals via USB OTG, we recommend you get a Bluetooth keyboard and mouse. You can connect wireless Bluetooth keyboards such as the Logitech K480 directly to your Android device without a receiver. With all of the hardware requirements of your newly built Android PC sorted out, it’s time to work on the software. While you can get most of the functionality of a standalone PC to your Android through the Google Play Store, you need the PC-based user interface that makes your Android PC feel more like a computer. What started off as a Kickstarter campaign that hoped to change how we use our Android devices, has now turned into possibly the future of real Android PC devices. Andromium is essentially a mini-OS for Android devices that turns your good old Android phone or tablet into a fully-functional computer with a user interface similar to Chrome OS, but all the native features of Android. Andromium was marketed alongside the Superbook, which is a laptop that connects to your Android device and becomes an Android PC in an instant. Although the Kickstarter campaign wasn’t widely successful, Andromium managed to make enough name for itself and is currently offering the Superbook for preorders. However, you don’t have to wait for the Superbook to be released to get your very own Android PC since Andromium OS is currently being offered for free to Android devices across the world in the form of Sentio Desktop app. Albeit Sentio Desktop is still in its beta stage, the app is more than capable of performing basic tasks and is compatible with several major productivity apps on the Google Play Store. 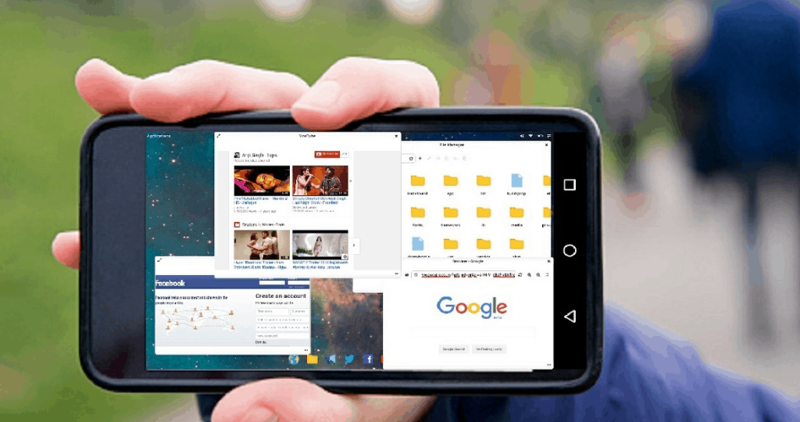 Sentio Desktop is available on the Google Play Store and does not require any special root permissions to turn your Android phone or tablet into a powerful Android PC. Since Sentio Desktop is going to build into an entire new Android-based operating system in the future, they already have some basic apps in the working. An app called Sentio Apps is available to download for free, which brings a browser, file explorer, image viewer, calculator, text viewer, video player, and a Mine Sweeper game to your Android PC. While Sentio Desktop will help you get the desktop-like user interface you deserve, most of your functionality will still revolve around the Google Play Store. Owing to hundreds and thousands of excellent utilitarian apps available, every feature that you want to add to your Android PC is just an app away. Word processing and office apps are always a great feature to have on your Android phone even when you’re away from the workspace. When maximized on the large display of your monitor, these productivity apps perpetually look and feel just the same way as their PC counterparts. 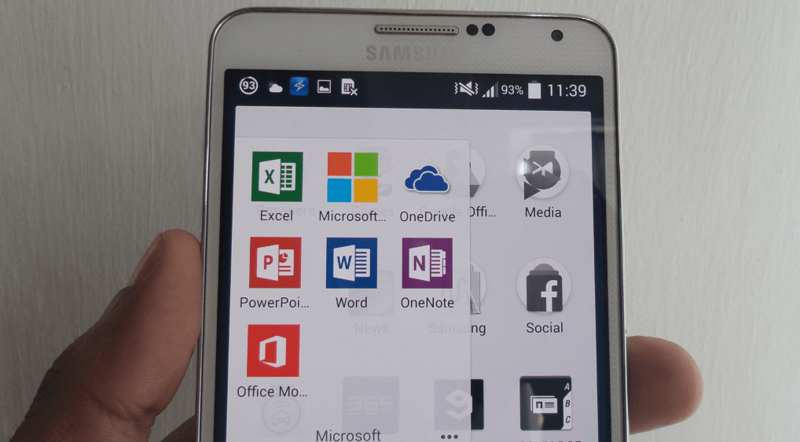 Starting off with Microsoft, you can get the entire Microsoft Office Suite (Word, Excel, PowerPoint, Outlook, OneNote), and even Microsoft OneDrive to import and export documents right from your Android device. Of course, there’s always Google Drive and its very own suite of apps (Docs, Sheets, Slides, Keep) that you can seamlessly use with your Android PC. In recent years, the popularity of mobile devices has compelled several top-notch developers such as Adobe and Autodesk to launch mobile versions of their desktop apps. Surprisingly, these mobile apps can help you do some light image editing and even give you the ability to photoshop images on the go. 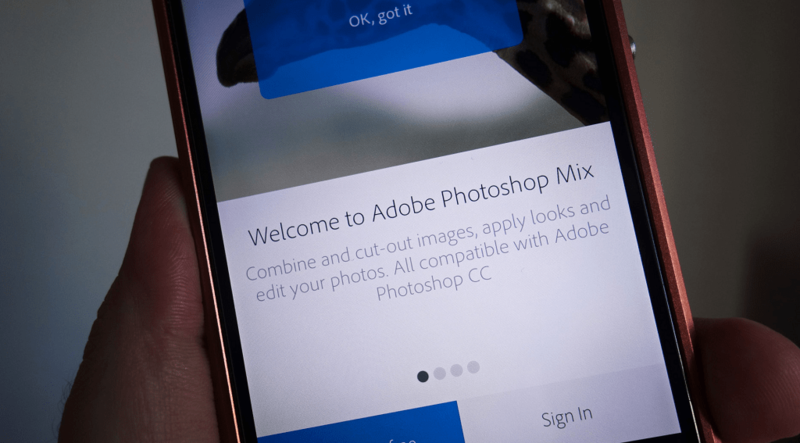 You can start off by getting the Adobe Photoshop suite of apps from the Google Play Store, which includes Photoshop Fix, Express, Mix, Premiere Clip, Scan, Illustrator, Sketch and more. Don’t forget to check out Autodesk and get your hands of SketchBook, AutoCad Mobile, Fusion 360, and many other excellent illustrations and designing apps. The best part about having your very own smartphone as your Android PC is that all you need is a monitor and keyboard to get started. Whether you need to communicate with your clients in a formal environment or catch up with friends and family, your Android PC has all the communication apps you need, thanks to the Google Play Store. 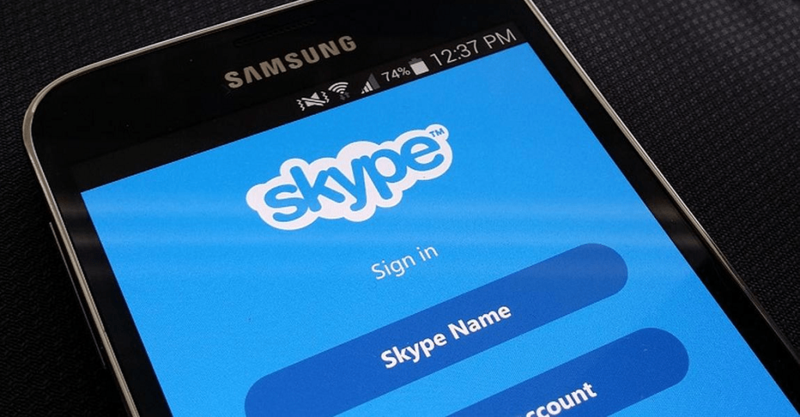 With the front camera built right into your Android device, it makes up for excellent video calling and conferencing using Skype for Business. With other work productivity and communication apps such as Trello and Slack available for Android as well, you always have a line of communication from your Android PC. Being a powerhouse of music and entertainment, there are probably just as many ways to listen to your favorite music tracks and entertainment content as there are on a computer. Tune into the Google Play Music app, or enjoy your favorite tunes on Spotify – there is no limit to the number of ways you can listen to music on your Android PC. Similarly, there are tons of entertainment apps to keep you engaged, which look even better when connected to a monitor. From the thrilling shows and movies on Netflix to watch live sports on ESPN, you will never miss your desktop computer as long as you have the Android counterpart to entertain you through the day. There’s no doubt about it that desktop systems like Windows, Linux, and even Mac have their cemented spot in our lives. However, the fact that your smartphone can do just as much, if not more than the basic computers, is a clear sign of why Google is so heavily invested in making Chrome OS the next big thing. But why shell out hundreds of dollars if you can make a better Android PC with your very own smartphone or tablet? Are you willing to plug out the peripherals from your old computer and hook to them up to your Android phone just yet, or do you think the concept of Android PC is better left off to Google with the Chrome OS? Do share your thoughts on which Android apps would work better on the big screen and voice your opinion on the Updato Forum right now.